The San Diego Chargers couldn’t hold on to their lead Sunday, relinquishing 14 points in the final four minutes and fifty seconds to the New Orleans Saints en route to a 35-34 loss. It was a back and forth affair for the most part, with San Diego holding a slim 24-21 lead at the end of the third quarter. However, after a Melvin Gordon one-yard run for a touchdown and a Josh Lambo field goal, their 34-21 lead looked secure. However, it would not prove to be the case. Gordon would fumble the ball, which would be recovered at San Diego’s 13-yard line, setting up Drew Brees’ five-yard pass to Michael Thomas to put the score at 34-28. In the Chargers’ next drive, Travis Benjamin fumbled on a reception that was recovered at San Diego’s 31. After seven plays and a John Kuhn touchdown, the Saints walked away with the win 35-34. Brees found himself victorious in his long-awaited return to San Diego, throwing for 206 yards with two interceptions and touchdowns apiece. 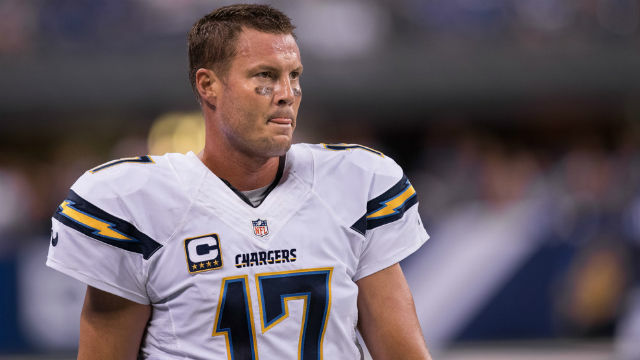 His counterpart, Phillip Rivers, ironically fared better, recording 321 yards with two TD’s and an interception. By 2005, Brees had already been with the Bolts for five years when he suffered a torn right labrum. After letting Brees leave for free agency, the Chargers inserted Rivers into the franchise QB role and hasn’t looked back since. While he has played against the Chargers previously, Sunday was the first time Brees started at Qualcomm Stadium without a lightning bolt on his helmet.